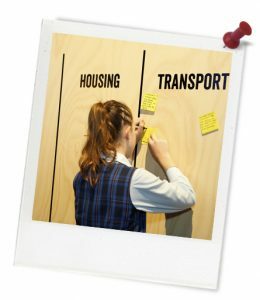 Quick summary: In this lesson students create a masterplan that could be used in their local area. 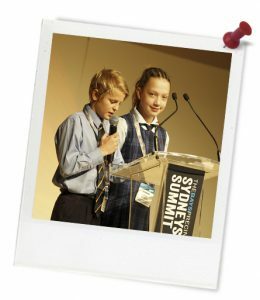 Students will begin by analysing a masterplan from The Bays, Sydney and will then create their own masterplan for a proposed urban development or renewal project that includes maps, drawings and an informative letter. Finally, students are asked to reflect on their group and personal learnings. If you have completes the whole unit, this lesson offers opportunities for students consolidate their learning from previous lessons. Students are able to consolidate and communicate their final ideas about an urban development or renewal project. Relevant parts of Year 5 HASS achievement standards: Students identify and describe the interconnections between people and the human and environmental characteristics of places. Students sort, record and represent data in different formats, including large-scale and small-scale maps, using basic conventions. They work with others to generate alternative responses to an issue or challenge and reflect on their learning to independently propose action. They present their ideas, findings and conclusions in a range of communication forms using discipline-specific terms and appropriate conventions. Relevant parts of Year 6 HASS achievement standards: Students organise and represent data in a range of formats, including large and small-scale maps, using appropriate conventions. They reflect on their learning to propose action in response to an issue or challenge. They present ideas, findings, viewpoints and conclusions in a range of communication forms that incorporate source materials, mapping, graphing, communication conventions and discipline-specific terms. Relevant parts of Year 5 English achievement standards: Students create detailed texts elaborating on key ideas for a range of purposes and audiences. Level of teacher scaffolding: Medium – assist students with creating elements of masterplans. Resources required: Student Worksheet – one copy per student. Device capable of presenting a website to the class. Access to Sample Letter, to be projected for the class. Class set of BOLTSS Map Conventions (optional). Class set of Letter Writing Tips (optional). Keywords: The Bays, urban development, masterplan, map, letter, reflection. ... consolidate and communicate their final ideas about an urban development or renewal project. … analyse and create a masterplan. … write an informative letter. … communicate their ideas to a varied audience. You will be compiling this information into an E-Portfolio, for example on WikiSpaces or GoogleSites.